Workshop Weekend is a community-based two-day event that brings together dozens of short, hands-on workshops across a variety of disciplines, from crafting to engineering to gardening, all taught by local, passionate instructors with years of experience in their craft. For my brother and I, our experiences growing up inspired us to create Workshop Weekend. 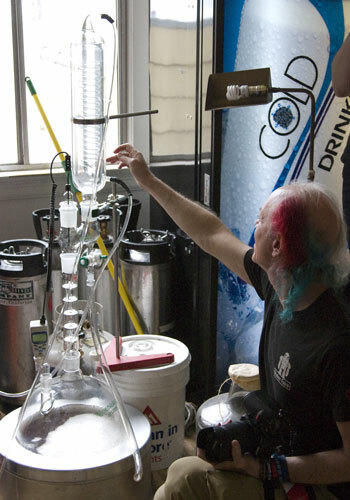 We were lucky to discover a few of our own passions early on in life, and we explored these passions throughout our high school and college years and, later, through our professional lives. There's no magic to discovering what you're passionate about; if you haven't found it yet, keep exploring. We think everyone, young and old, should have the opportunity to discover that passion, and that belief has driven us to put together Workshop Weekend: It's a way to encourage that exploration of passions. We hope you'll join us. 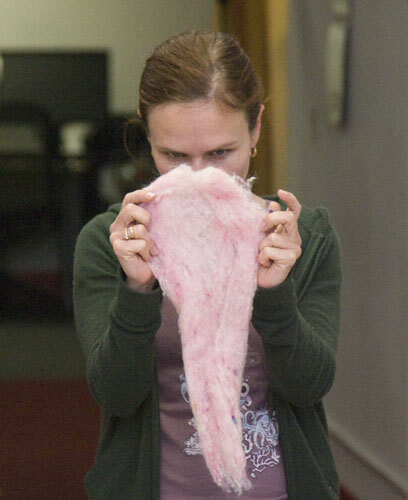 Share your passion by running a workshop or find a new passion by taking one! J.D. 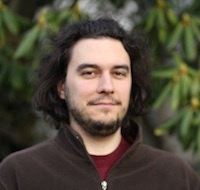 Zamfirescu co-founded Appjet, the creators of EtherPad, a web-based text editor for real-time collaboration. AppJet was acquired by Google in 2009. He also sits on the board of Learning Unlimited, a non-profit organization dedicated to spreading the Splash educational program to universities across the United States. J.D. holds S.B. and M.Eng. degrees in computer science from MIT. 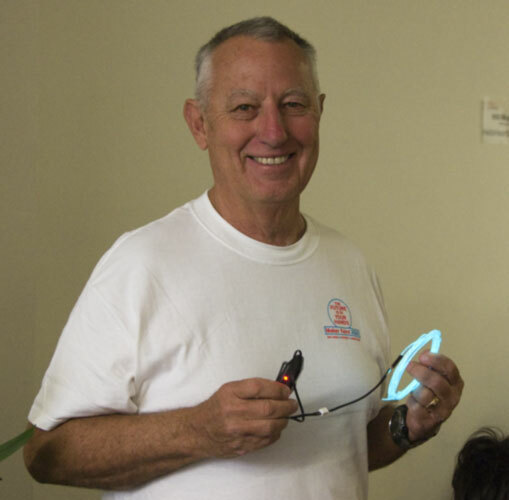 Gil Zamfirescu played a leading role in founding FertilGas, a 2008 initiative dedicated to disseminating sustainable energy technology and education to rural communities in Honduras. Prior to that, in 2007, he was a lecturer at two universities in China, where he taught principles of business organization to university students at Zhejiang University and Tianjin University of Technology. 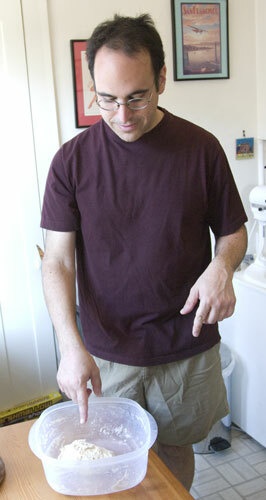 Gil holds an S.B. degree in economics from MIT. 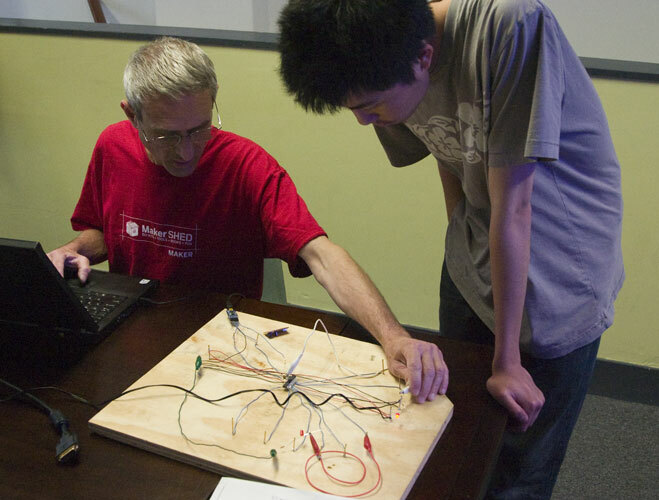 Instructor Michael Shiloh and student Kevin Liang debug an Arduino made on a wood-and-nail breadboard at our May 2011 event. 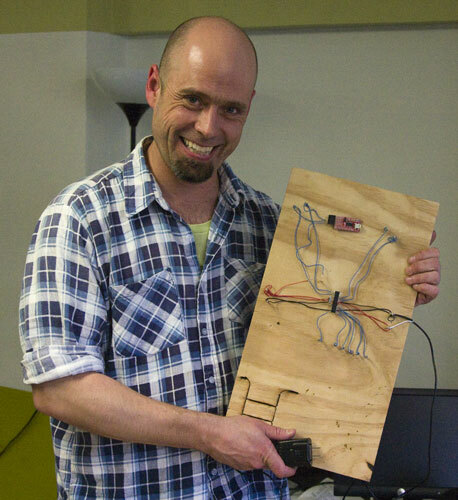 A student shows off his completed wood-and-nail breadboard at our May 2011 event. 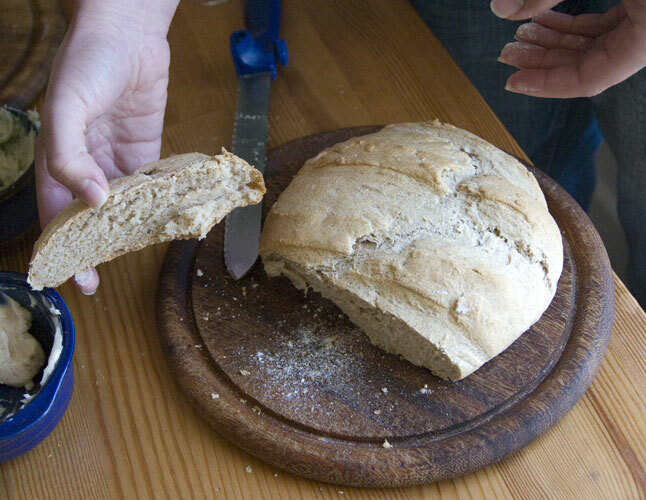 A student shows off a slice of home-made bread at Lee Sonko's 10-minute bread workshop, May 2011. 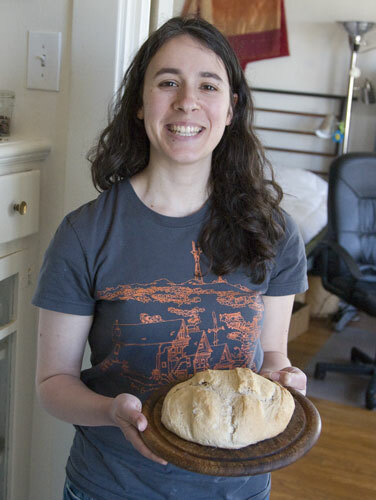 A student proudly posing with her home-made bread at Lee Sonko's 10-minute bread workshop, May 2011. 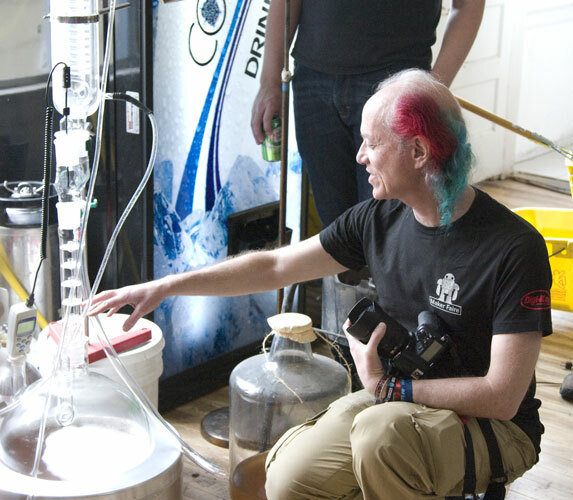 Instructor Mitch Altman crashes a distillation workshop; asks questions about the equipment. May 2011. 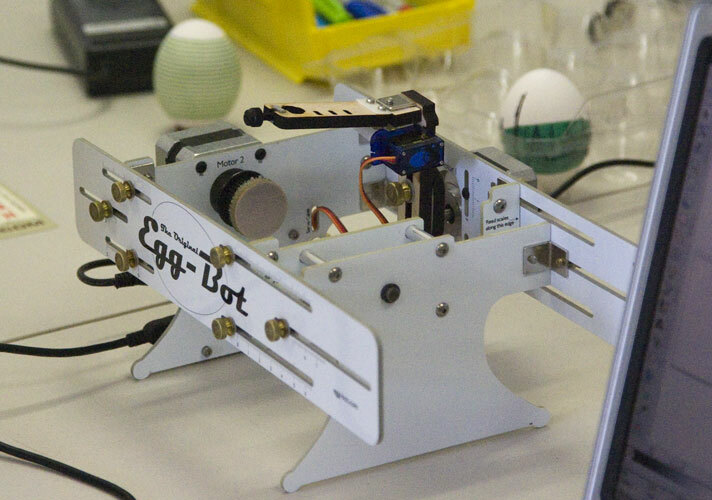 An Egg-Bot built and used at our May 2011 event. 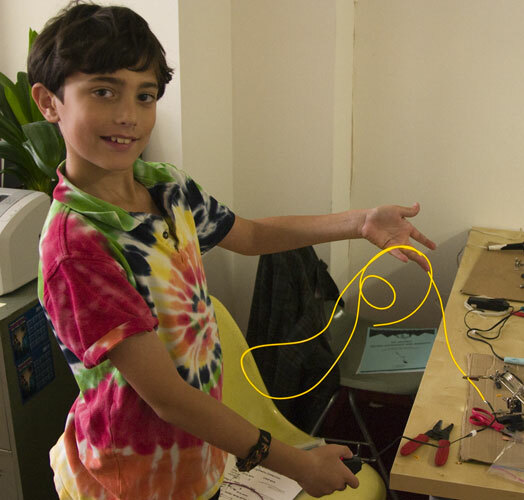 A student shows off his electroluminescent wire at an EL wire workshop, May 2011. 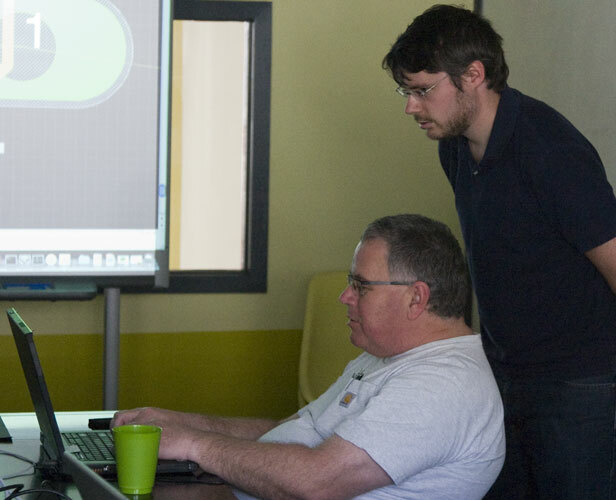 Instructor Malcolm Knapp working with a student on a printed circuit board layout design, May 2011. 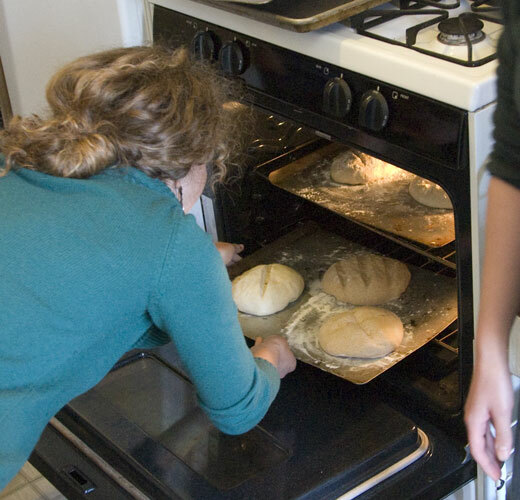 Student Jenna Rice checks on some partially-baked bread in the oven, May 2011. 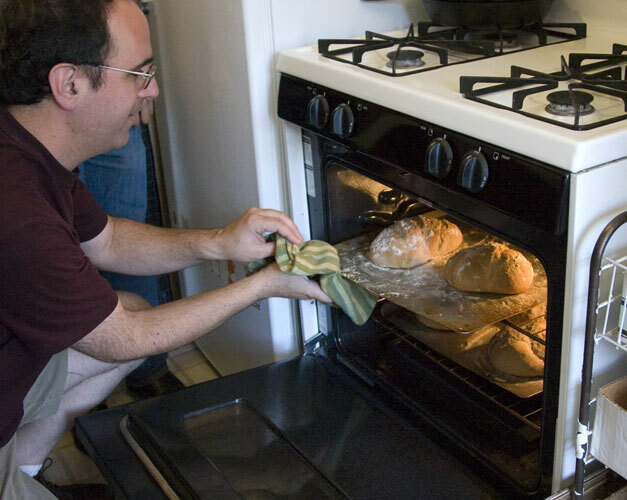 Instructor Lee Sonko points at bread in a posed photo at his 10-minute bread workshop, May 2011. 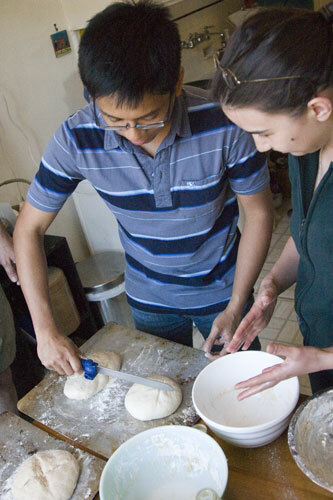 Two students work together to prepare loaves of bread for baking, May 2011. 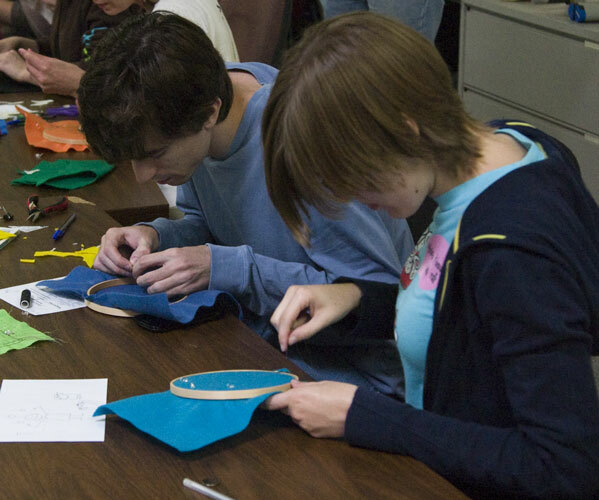 Two students focus intensively on sewing electronic components into fabric, May 2011. 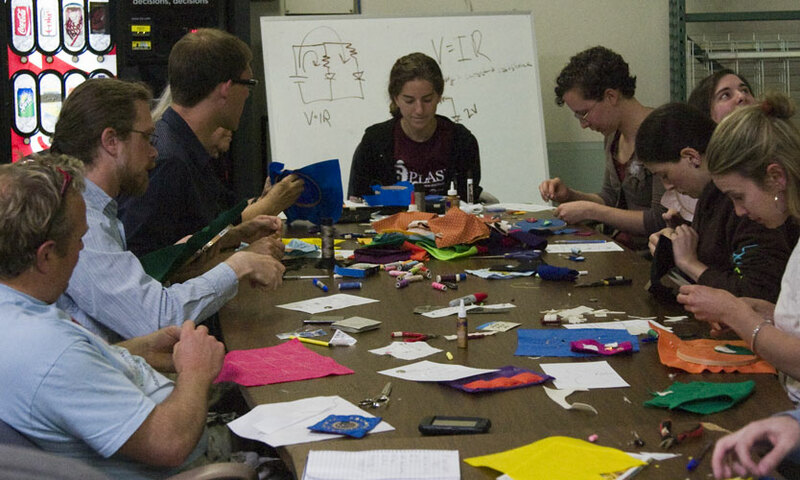 Instructor Katie Dektar leads the way in her sewing with electronics workshop, May 2011. 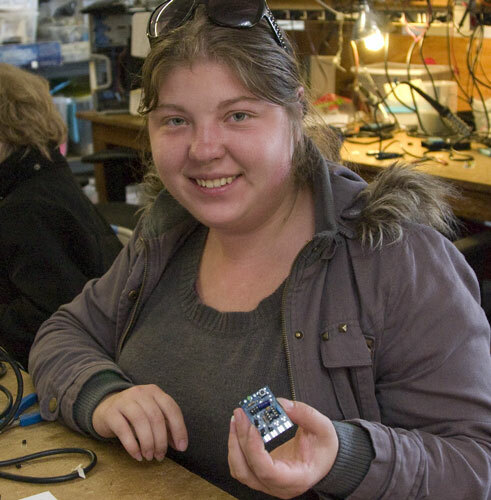 A student shows off her soldering project, May 2011. 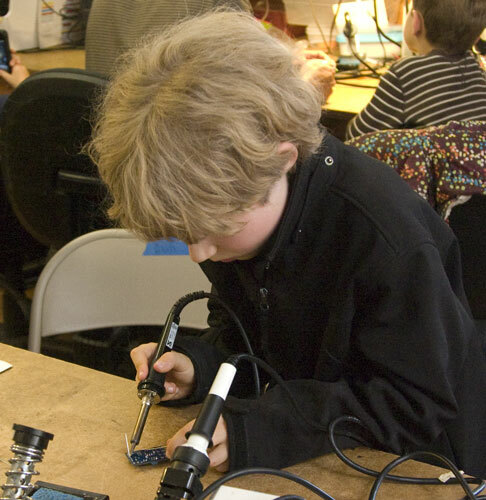 A student hard at work on a soldering project, May 2011. A student intensely soldering, May 2011.